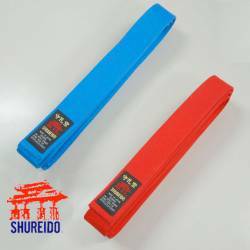 RED or BLUE competition belt from SHUREIDO in cotton superior quality. 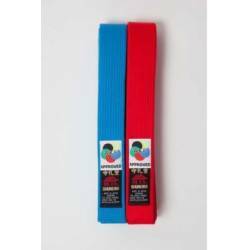 Pack of 2, one RED and one BLUE competition belt Special Thick (BST) for KATA WKF Approved from SHUREIDO in cotton superior quality. 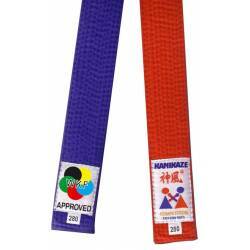 Special RED COMPETITION belt from KAMIKAZE in cotton. 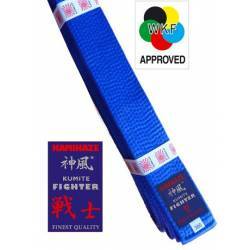 Special BLUE COMPETITION belt from KAMIKAZE in cotton. 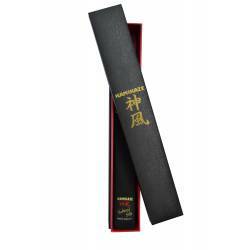 Special Kamikaze-Competition plus WKF-APPROVED labels. 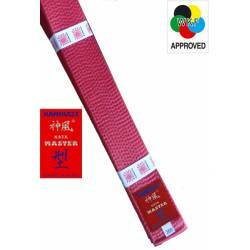 Special competition belt KAMIKAZE "KATA-MASTER", RED in SILK-SATIN finishing. 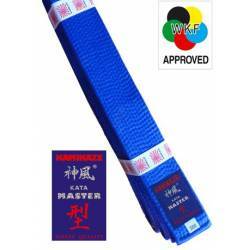 Special competition belt KAMIKAZE "KATA-MASTER", BLUE in SILK-SATIN finishing. 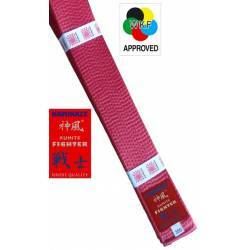 Special competition belt KAMIKAZE "KUMITE-FIGHTER", RED in SILK-SATIN finishing. Extra light and narrow (4 cm) ideal for quick fighting techniques . 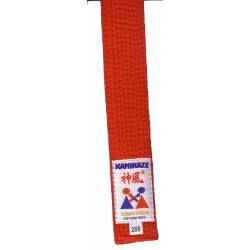 Kamikaze-Competition belt for KUMITE. 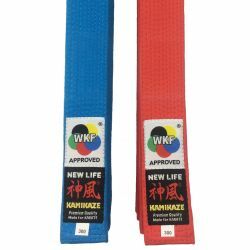 Special competition belt KAMIKAZE KATA "NEW LIFE Premium", RED or BLUE. 100% cotton, special thick BST. WKF Approved. 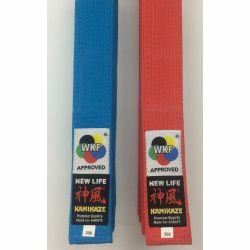 Pack Special competition belt KAMIKAZE KATA "NEW LIFE Premium", RED AND BLUE. 100% cotton, special thick BST. 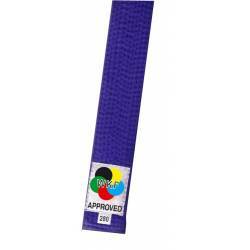 WKF Approved.